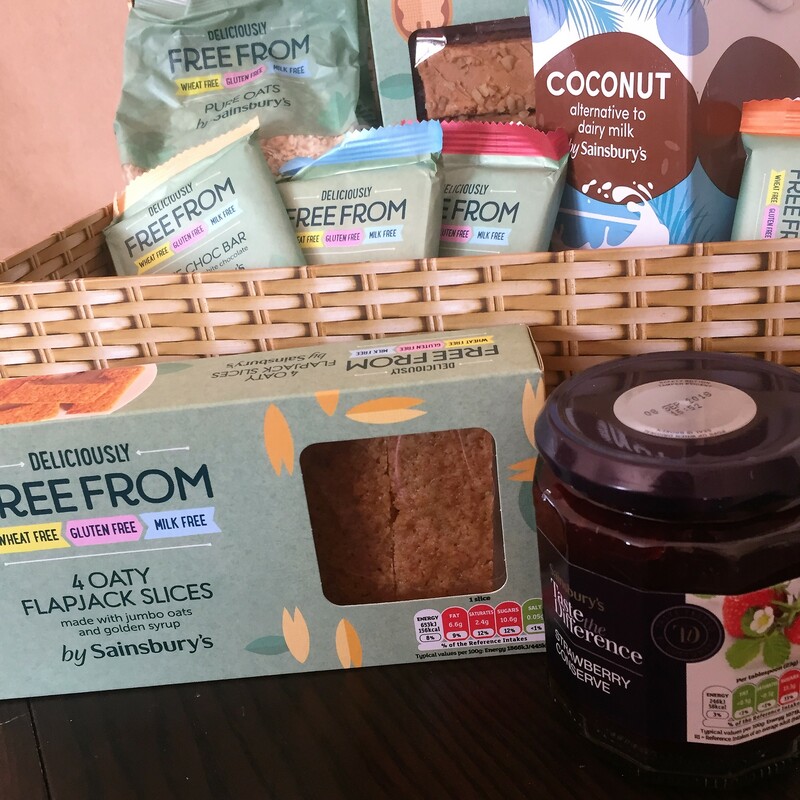 Recently I was contacted to see if I would like a hamper full of Sainsbury’s Deliciously Free From goodies. Of course I said yes without hesitation! 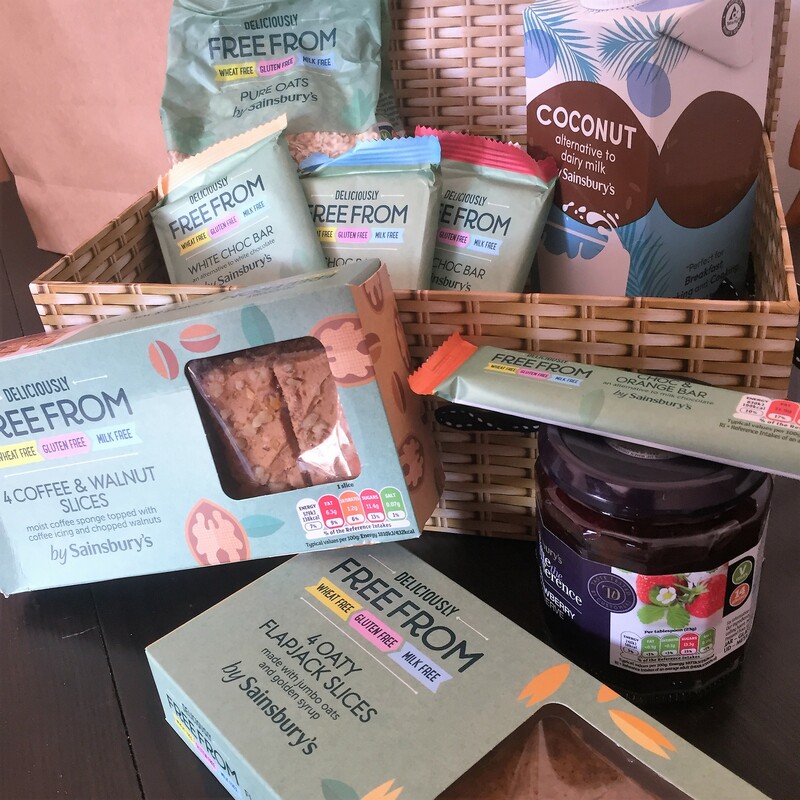 With the launch of the range a year ago, Sainsbury’s Deliciously Free From has quite a wide variety of products focussing on six allergens- gluten, wheat, milk, egg, soya and nuts. This on paper is for us being dairy, egg, nut and soya free! It arrived in a lovely box, and was packed with a variety of free from treats. Little one was particularly excited to see the inclusion of oaty flapjacks, one of our favourite treats to buy from Sainsbury’s. 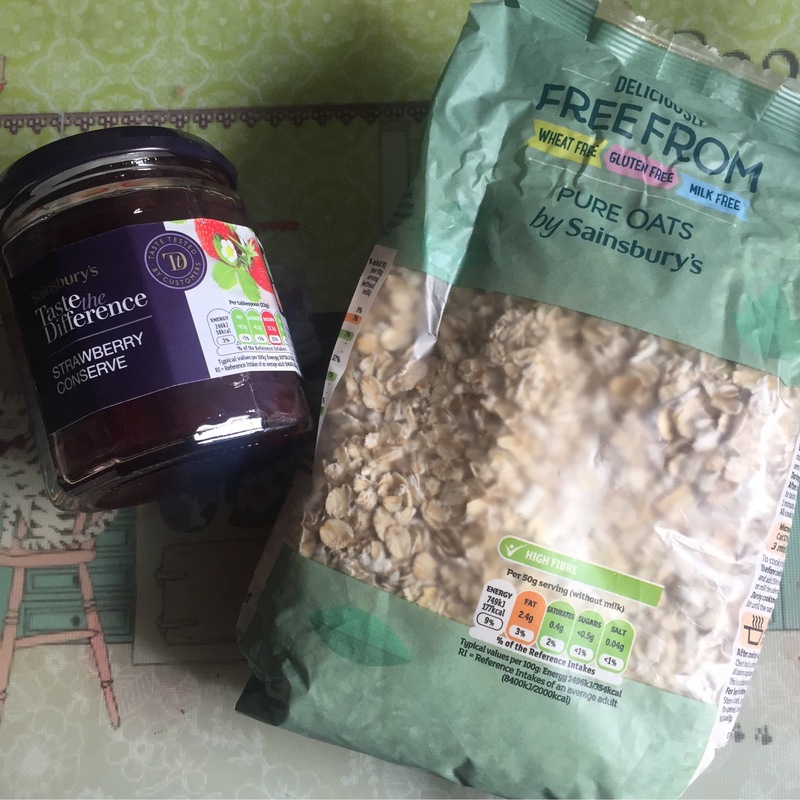 Oaty Flapjack Slices – Both little one and I were really happy to see the inclusion of Oaty Flapjack Slices in the hamper as it is something we eat already! They are a real sweet treat and are easy to halve for little one to have. Pure Oats, Coconut Milk and Strawberry Conserve – These are all brilliant store cupboard items and staple ingredients which can be used in many recipes. See below for two recipes which use the Pure Oats and Strawberry Conserve. Coffee and Walnut Slices – These looked delicious but something we didn’t try. They contain egg and nuts which meant they weren’t particularly little one or Mr.Mummybakesdairyfree friendly. Don’t worry though, they didn’t go to waste. My mum tasted them for research purposes and enjoyed them! Chocolate – I struggle to find dairy free chocolate for little one which doesn’t contain soya lecithin. Unfortunately these also contained soya lecithin which meant we didn’t try them. However as little one’s tolerance builds up, I look forward to seeing what she thinks! I’m torn when it comes to the packaging. I really like how the allergens which the product is free from are coded on the front, however I feel that some miss a trick. For example the Oaty Flapjack Slices are labelled on the front as wheat, gluten and milk free. They are also egg and soya free, which is a big draw for us and would make the product stand out on the shelf. The packaging does state if the product is vegan which is a plus, especially if you’re dairy and egg free. Continuity across the Sainsbury’s Deliciously Free From packaging is another plus, as it makes it easily identifiable as a free from product. My big issue is the labelling on the majority of products as not suitable for nut allergy sufferers – “Not suitable for customers with an allergy to peanuts or other nuts due to manufacturing processes.” This isn’t reserved to Sainsbury’s alone, and don’t get me wrong I much prefer the warning to be there if there maybe a risk. However it is frustrating when trying to find products which little one and Mr.mummybakesdairyfree can enjoy. I’m looking forward to using the chocolate when little one has built up her tolerance to soya a little more, until then I’ve hidden them away and created some recipes using the other ingredients instead! 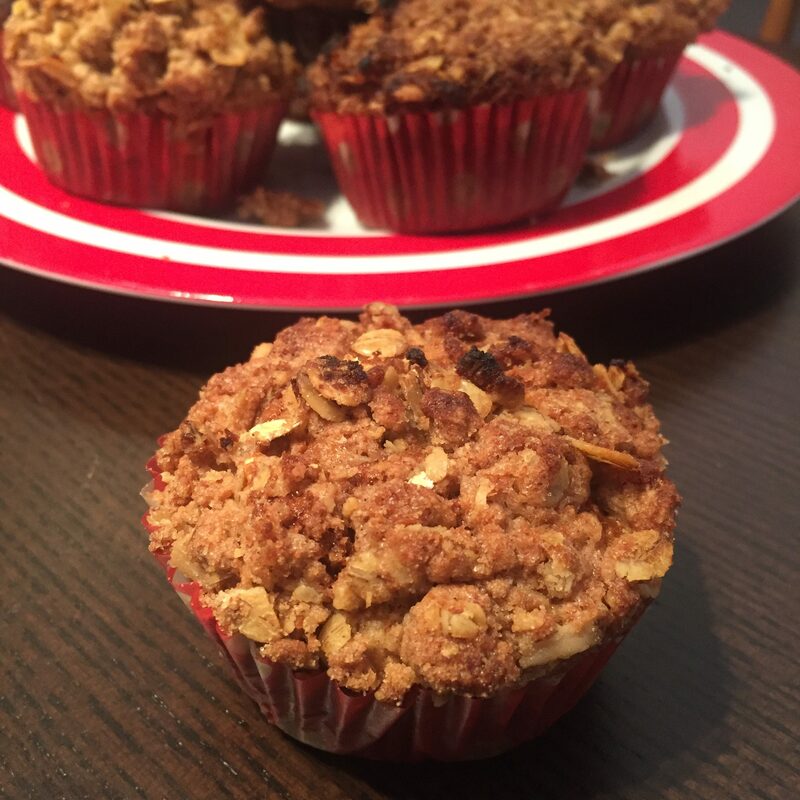 The oats work brilliantly to make a yummy crumbly topping on muffins. Paired with seasonal rhubarb, these Rhubarb Crumble Muffins were a big hit in our house! Dairy, egg, nut and soya free, these are also vegan too! lices. 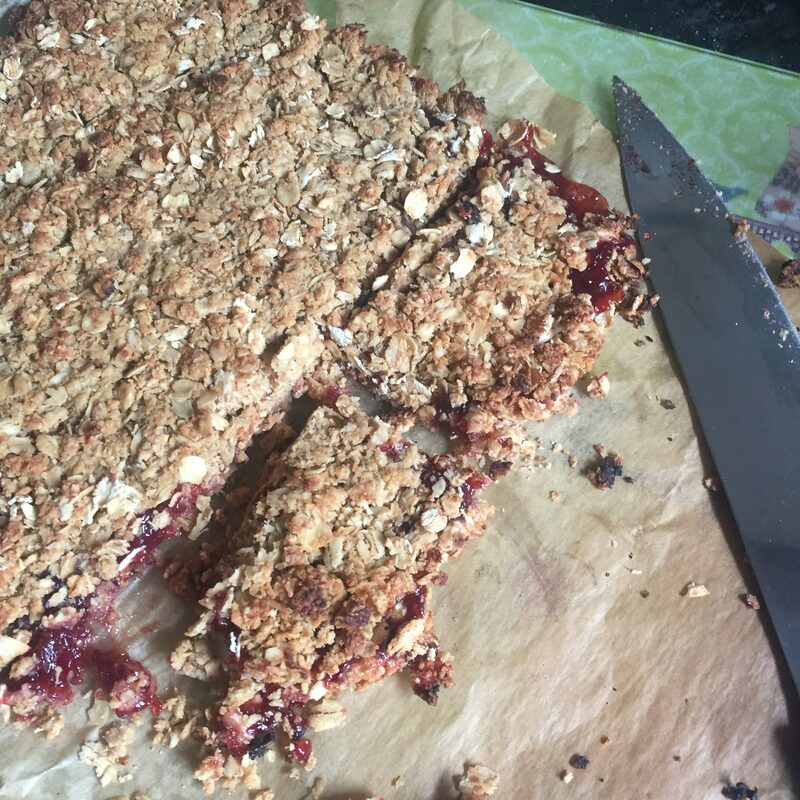 These combined the oats with the strawberry conserve to make a yummy flapjack style treat. These are not only vegan, but also dairy, egg, nut, soya AND gluten free too. Thank you to Sainsbury’s for sending myself and little one the hamper! It’s great that Sainsbury’s have such a good range of Free From things now. It must have been even harder for those with allergies even just a few years ago. It all looks lovely even for those of us without allergies. Ohh interesting! I’ve never thought of going dairy free simply because there hasn’t been a need to, but I must confess, those rhubarb crumble muffins look delicious! !